Two people were arrested by Jakhlabanda policeon Saturday because of their alleged involvement in helping poachers coming from Manipur, police said . Poaching has risen in Kaziranga National Park even with the security forces thwarting rhino poachers several times. 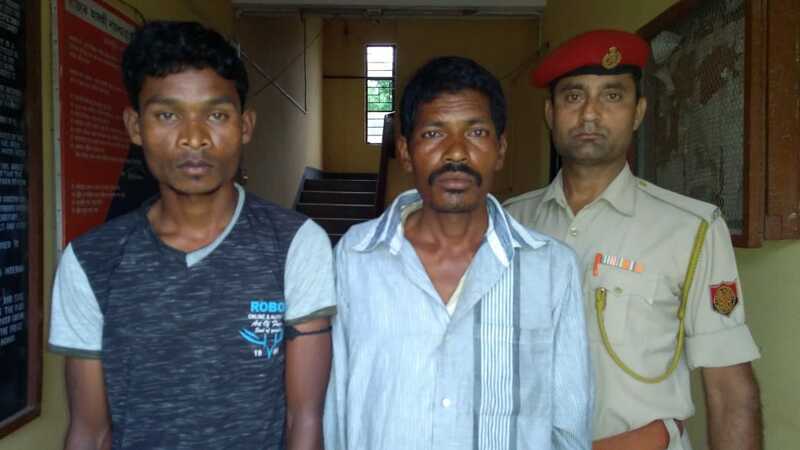 On Saturday Jakhalabandha police arrested one Ram Nath Tanti 27, from Khelmati line of Sakmoothi Tea estate and Badhna Mura 35 from Hargaon under Jakhalabandha police station of Nagaon district. Officer- in-charge of Jakhalabandha Police station Deban Borah, informed that both person were helping the poachers coming from Manipur for rhino poaching in the National Park. Borah said that they were supplied with materials, food and other equipments. They also confessed using olive green dress and taking shelter in the nearby area of Nagaon district .They also relayed information about the security forces movement around the park, to the poachers, Borah added.